When you've found your fairytale ending, you want an engagement setting that is designed for happily-ever-after, like this white gold mounting from the Verragio Insignia collection! Your princess-shaped center stone will join a brilliant split shank band that is covered in pave diamonds, and three bezel-set gems on the profile in-between swirls of precious metal. 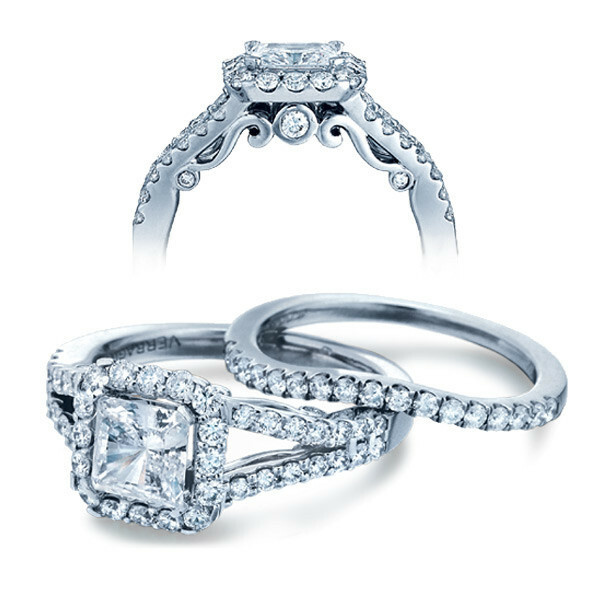 Your once-upon-a-time starts now, with this Verragio engagement setting!